Screen shot 2011-08-02 at 3.44.57 PM, a photo by Villa de Amore on Flickr. 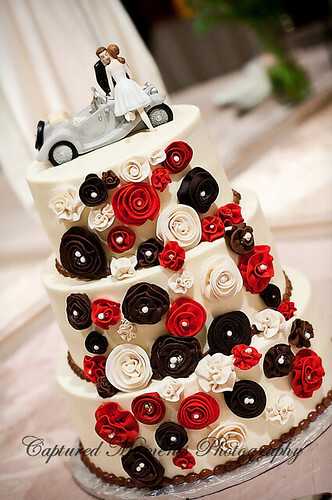 Cute idea for a small cake with red brown and cream colored frosting flowers. And the convertible ontop.